In 1958 Johnny Cash’s “Don’t Take Your Guns To Town” was #1 on the country charts for six weeks. It’s a lugubrious little ditty about a young cowboy who decides to go to town, ignores his mom’s advice to leave his guns at home, and ends up getting gunned down. (This was back when a country act could release an anti-handgun song without kissing his or her career bye-bye.) Around 1962 Howard Shockley, a teenage science-fiction fan from Opelika, Alabama, wrote “Don’t Take Your Smell To Town,”a parody to be sung to the same melody as Cash’s song. In SF fandom such tunes are called filk songs, and I think Shockley’s was a gem. It concerned a young sanitation worker who lived in the city dump and ignored the advice of the song’s title. The protagonists of both songs were named Billy Joe, and Shockley presented his composition to his buddy at Opelika High, Bill Plott, who himself went by Billy Joe. Plott was fellow SF fan, and quicker than you could say “Great Ghu!”, published Shockley’s filk song in his fanzine, Maelstrom. 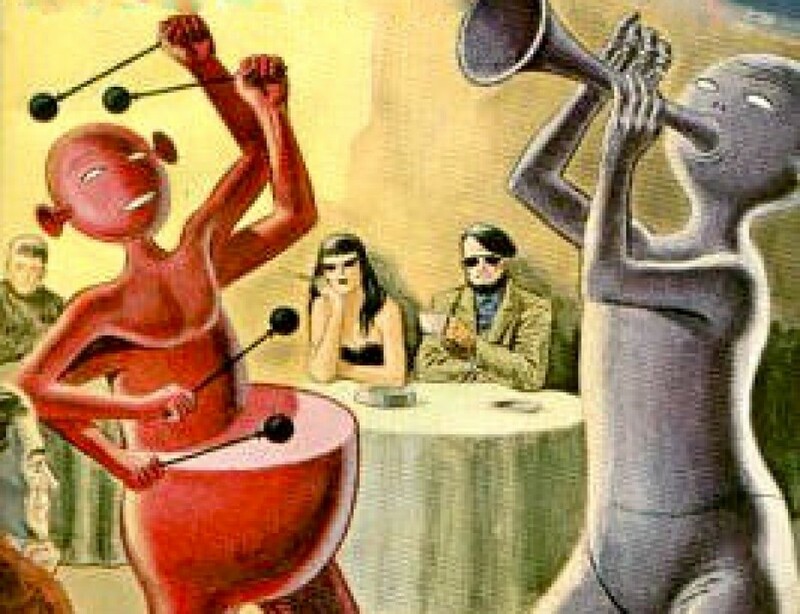 Plott, for reasons too numerous and largely unspeakable to mention, is actually now somewhat of a legend in SF fandom, but around 1968 he left that subculture for what was to prove many decades. He got drawn back into the fold only in 2012 when he was invited as Guest of Honor at Deep South Con 50. That happy trip inspired him to revive another of his fanzines from long ago, Sporadic, and he has published it bimonthly since. By coincidence, around the same time, Plott reconnected with his old pal Howard Shockley, now a Presbyterian minister in South Carolina. 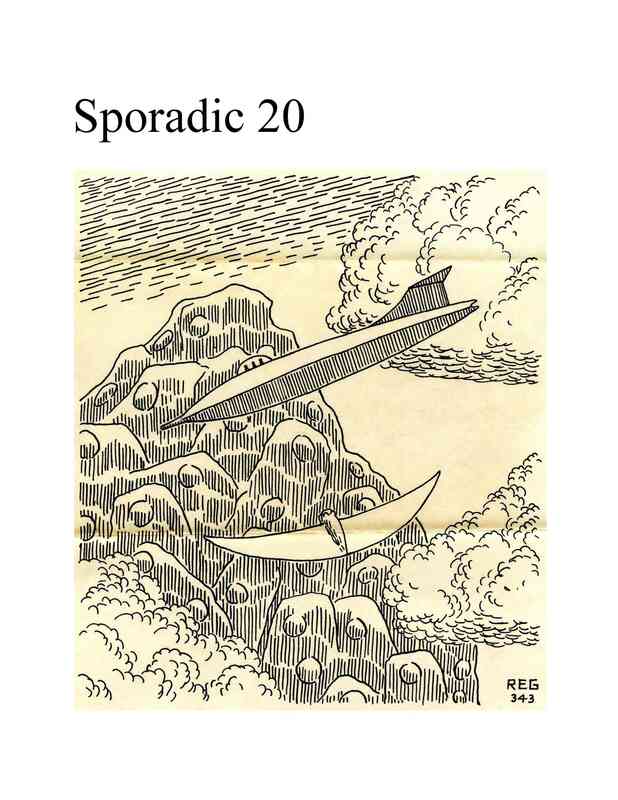 In Sporadic #20 Plott reprinted “Don’t Take Your Smell To Town” much to his old friend’s dismay surprise. I like to think–imagine, say some–that I can play guitar and sing, and when I saw the lyrics in Sporadic, thought, “Gee, I should record that.” Like most thoughts requiring effort from me if acted on, it was promptly forgotten. Then a few weeks ago, out of the blue, I found myself going into The GarageBand app on my Mac and recording “Don’t Take Your Smell To Town.” Personally, I think The Devil made me do it. If you want–and how could you not?- you can click on the hypertext below to hear the result. For the record (no pun intended) I’m playing everything on the song except the snare drum. That, I talked my wife Dorothy into playing. Howard Shockley’s lyrics are below the recording. A D.S. * boy named Billy Joe grew restless in the Dumps. He looked across the sea of trash while sitting on a stump. But then he heard his partner say, “Don’t take your smell to town, boy. You’d better stay at home, Bill. Bill just smiled and said to him, “Your boy’s become a man. “I’ll take a bath, use Listerine, and roll myself in Ban. They’ll run you out of town, Bill. And of that smell that used to be there wasn’t any trace. Bill put down his drink and saw that no one was around. He’d left the Dumps to see the World, and it had put him down. Don’t leave it here with us. Nothing of the job he held could anything detract. He’s there today, out in the Dumps, his Destiny fulfilled. The tune’s more fun if you’re familiar with Cash’s original, and you can hear that and read the lyrics at: https://www.youtube.com/watch?v=A74Wq0B1WrI.